· Pre- Tradeshow Marketing. Begin marketing your tradeshow prior to the trade show date by letting your contacts know you will be participating in the tradeshow event. Encourage them to attend and let them know a gift will be waiting for them when they visit your booth. · Know your tradeshow booth visitors. Greet each tradeshow booth visitor with a handshake and request their card (great opportunity to "grow your Rolodex"). Our Motto: No card / No gift! Trade show promotional product giveaways are a tradeshow highlight but an expense for which you deserve payback. Although you don’t want guests just wandering in and out of your tradeshow booth, snagging your promotional product giveaways, it’s a great opportunity to make an impressive acquaintance and get their card for a future contact. From about a dollar or so and up you can purchase an appropriate promotional products to interest your clients and potential clients. Remember, each interested visitor to your tradeshow booth is a potential client. · Initial Impact at the Tradeshow Door. Station a representative close to the tradeshow entrance to present each trade show visitor a promotional tote bag sporting your name or logo to create a significant impact. Your name will then be displayed throughout the tradeshow floor as clients and potential clients browse through all the booths carrying your promotional tote on their arm. When they do arrive at your booth, they will certainly have name familiarity and perhaps even be on the lookout for you as they wander through the tradeshow floor. Each tote bag should include a flyer identifying your company, describing your business and the promotional items you can provide. · Don’t forget the children - the child in each of us, that is. You're bound to see a significant increase in tradeshow booth traffic when your handout is a toy, i. a Yo-Yo. We have seen tradeshows where traffic was stopped in the aisle trying to work a new toy promotional product and those who haven’t yet gotten to your booth to pick up their toy giveaway are asking "where did you get that?" To get additional bang for your buck, distribute promotional products to other tradeshow exhibitors so they too will be playing with them throughout the tradeshow, also displaying your name and directing new visitors to your booth. Hint: You can attract special attention by having an "expert" (or self-made expert) showing off your promotional product toy at the tradeshow booth site. You can go a step further by promoting a contest involving your promotional product with a prize for the winner and creating even more interest in your tradeshow booth and providing the ultimate bang for your buck. · Trade show Promotional Products that count. Whether it be useful, entertaining or in some way a very memorable tradeshow promotional product giveaway be sure it is one that will hang around awhile to clearly sport your name or logo and bring a lasting reminder of their visit to your tradeshow booth. That "hang-around" quality is one that really counts. When trade show guests visit several tradeshow booths in a day, how easy it is to forget who was who and who had what. 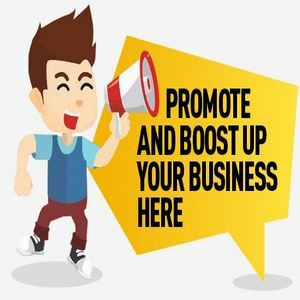 Be sure your business card and/or a flyer describing your business and the products and service you can provide is attached to each giveaway you handout. We have used these tips successfully in many tradeshows and they should make your next show even more successful.